Providing your guests with a clean and comfortable bedroom is pivotal to ensure your guest has a good stay. 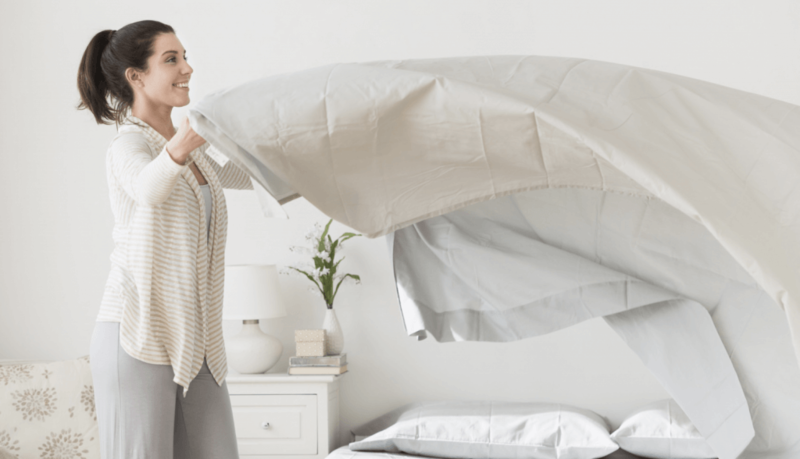 To help you in properly caring for your short-term rental bedroom, we have provided you with tips such as caring for sheets, protecting your mattress and adding extra comfort in the bedroom. For personalized advice for your vacation rental, you can seek advice from your vacation rental cleaner. When choosing sheets there are 3 key aspects to consider. First, the sheets should be affordable considering how often you will be replacing them. The second aspect to consider is how comfortable the sheets are. A common comment from guests is how comfortable the bed and sheets are at the vacation rental. Third, choose the best sheets according to the climate that your vacation rental is located. If your rental is in a warm weather climate, it is important to buy cool, breathable sheets. As for cold weather climates, sheets such as flannel or bamboo will keep your guests warm and comfortable. It is recommended to replace sheets from one to three years depending on your occupancy. If you are busy year round, replacing sheets yearly is best. When renting out your short-term vacation rental seasonally, you can instead replace your sheets every two or even three years. If there are any stains on the sheets that cannot be removed, you should replace the sheets immediately. Buying a mattress protector or pad provides protection and additional comfort for your bed. A mattress is a big investment, therefore you want to protect it as best as you can. Mattress protectors guard your mattress from bed bugs, allergens and general use from guests. A waterproof mattress pad provides double the benefits. It not only protects your mattress but it also provides additional comfort. The mattress protector and pad are very easy to remove, wash and replace! Some additional comforts to provide in the bedroom of your vacation rental are items such as a digital alarm clock, an outlet near the bedside, and a fan. These small and inexpensive ways to provide comfort for your guests will go a long way. We also love hosts who think to leave us really good reading lamps!